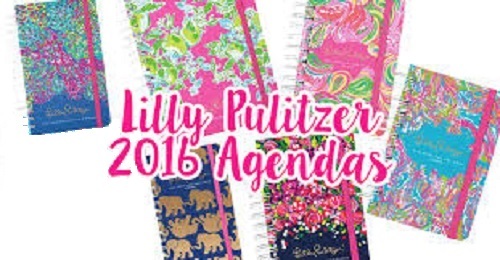 Order your 2016 Lilly Pulitzer Agenda Now! Call Wit’s End now at 518-371-9273 to reserve your 2016 Lilly Pulitzer Agenda! Large Agenda Patterns available are: (from left to right, top to bottom) Lilly’s Lagoon, Pink Lemonade, All Nighter, Tusk in Sun, Wild Confetti, and Scuba to Cuba.